Russian Video from Russia: 500 Posts! This post is very special for me because it’s our 500th post… That was so strange to realize that there are already 500 posts here in Russian Video from Russia. Today I will not show you videos I’ll better tell you about the blog, about already published videos what I like the best and what the blog means for me. This blog started as a branch of “Windows to Russia” blog – I just decided that it could be interesting to show Russia from inside and showing and discussing videos is the most interesting way for me. Some of the videos we were made by ourselves, some videos are from current Russian news (we subscribed on almost 100 channels), some videos we searched hard all over the Internet just to find and to show them to you. This blog is my (Svet) main project in Internet, it takes a lot of time but it’s very interesting! Kyle also takes part in this blog and our readers and me very appreciate it! As you can see on the side bar of the blog we try to categorized our posts and videos and today I’ll tell you about the most significant categories. 1. Russian Cartoons. One of the most important categories in this blog (my opinion) is Cartoons. Here we publish old Soviet and new Russian cartoons most of them with English subtitles. Most of them are good for whole family (kids, parents, grandparents, aunts and uncles for every one). These cartoons teach something very important in the life: friendship and kindness, make us to think and feel. Some cartoons are more like animated films and made for grown up audience. 3) Soviet cartoon: Umka (Oom-ka). Умка. 4) A girl and a dolphin: a Soviet cartoon. 9) And one more very touching cartoon: A Modern Russian Cartoon: The Dog Door (Собачья Дверца)! 10) Our adult readers must not miss cartoons by famous Alexander Petrov. I feel that’s time to stop but here is so many good, very good and excellent cartoons… so look here Cartoons and choose your favorite cartoons by yourself. 2. Movie for the weekend – This rubric we started almost a year ago and already published 43 full-length Russian or Soviet movies with English subtitles. All these movies I keep on my computer at home so if you find a movie not available just tell us and I upload it again. 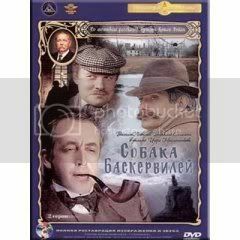 1) Sherlock Holmes and Dr. Watson on Russian Video from Russia! – Vasily Livanov played the best Sherlock Holmes ever and we published all Russian TV-series about Sherlock Holmes and Dr. Watson with English subtitles. 2) Russian Video: Russian Video: The Amphibian Man (Movie)! Of course, that is just 10 movies – even not a quoter of what we already published so if your Internet allows you to watch movies online you are cordially welcome to watch all Russian and Soviet movies what could be interesting for you – Movies for weekend! 3. 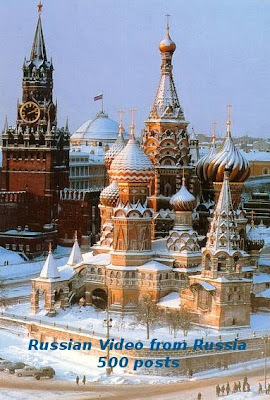 Places to visit – is a collection of different videos about different places of Russia some of them are interesting documentaries from Russia Today, others are beautiful videos and slideshows from people who live in these places or traveled there. Moscow, St. Petersburg and Metro collection are part of this category. 7) Russian Video: Walk with Boza! Of course, we have a lot of the others really very interesting and unique videos in The Nature category. Please, visit it! 5. Memory – that is a serious category where we talk about sad things (such as World War II, Russia – Afghanistan War, Chernobyl Disaster… ) – things what we must remember to never allow them happen again! 6. Documentary – Do you think documentaries are boring? But they are not! Our the best videos marked as documentary videos. They are about unusual records and appears, unique people and strange customs – all is here, because that is documentary! 7. Musical videos – here we listen old and contemporary songs, watch shows and just get rest with good music! Of course we have more rubrics here but we don’t have too much room to tell in details about each of them. Please explore them by yourself – you will never regret! This entry was posted in Site Map on November 22, 2009 by admin.